Which occupation has the highest gender imbalance? If you voted for engineers, you are correct! All these occupations have many more males than females but engineers have the biggest imbalance, by far. According to the National Society of Professional Engineers in 2004, there were about 192,900 female engineers compared to 1,515,000 male engineers in the United States! Those numbers are astonishing and if you want to read about possible explanations and solutions for this problem, read on…! I currently am a senior at Lakeside School in Seattle, Washington. Over the past four years, I’ve always heard there was a disproportionate number of boys and girls in the S.T.E.M classes. What’s S.T.E.M, you might be asking? It is an educational and work field that has always been dominated by men. As people fight for gender equality, it’s important to understand why women have fewer opportunities and advantages than men do. In the STEM field, women face many obstacles that may seem insignificant but can leave a lasting impact. There are a number of biases that women in STEM face and below are some of the most prominent ones I’ve discovered. Discouragement From A Young Age & Marketing: When looking at young kids, there is a stark difference in the toys that each gender plays with. In fact, when searching for “girl toys” on Google Images, the first image shown is a girl playing with a house set while when searching for “boy toys”, the first image shown is a boy playing with a tool kit. Even though this may not seem significant, it’s a huge deal! Young girls may feel like they don’t belong in the STEM field if it’s abnormal for a girl to play with more “masculine” toys which often correlate to being toys that can be applied in STEM field. In 2015, Microsoft created a video that focuses on the discouragement young girls can face. Stereotype Threat: This is an issue that affects many minority groups in various situations but is often seen in educational settings. Stereotype threat is when a group of people conform to stereotypes about themselves. 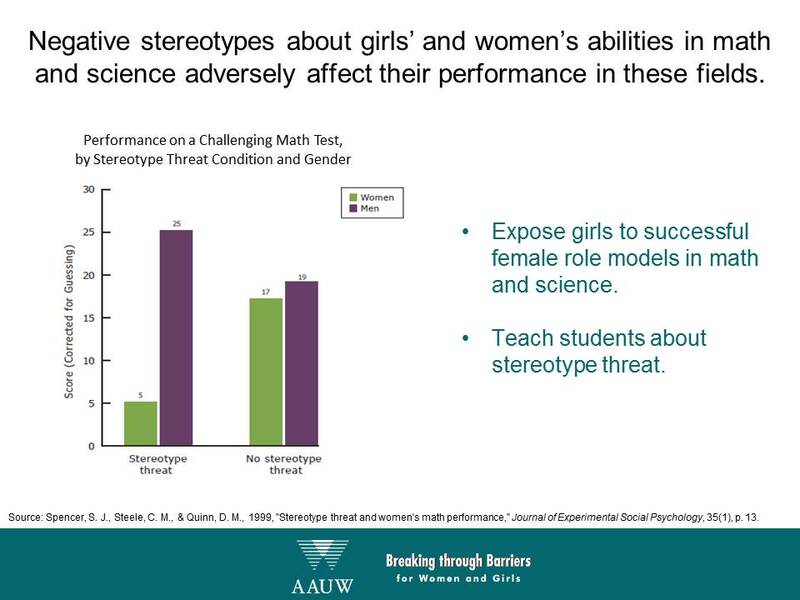 For younger women that are students in a STEM field, if they are even remotely told that men are better at math and/or science than women, their test performance will lower at a significant level. Since I first heard about the disporpotrationate number of girls to boys in STEM classes at my school, I though that I would dig deeper to understand why this was happening. I interviewed Dr.Bricker, a female computer science teacher who has been at Lakeside since 2007. Current State: Since Lakeside has actively done things to increase the number of girls in STEM classes, there has been a lot of change in the program. Below is a graph and data table that shows the program growth at Lakeside. Lakeside is very fortunate in the resources that we have which has allowed the number of girls to increase in the STEM classes. One way to increase girls in STEM classes would be for Lakeside to use its resources in schools that aren’t as fortunate. A club could be formed where Lakeside girls go to elementary and middle schools to get young girls more interested in STEM. Recruitment: It’s important that people actively encourage girls and women to be in the STEM field since the numbers are currently pretty uneven. Getting young girls interested in STEM can lead them to a long passion and career that they previously hadn’t thought about. A huge factor for women in STEM is that they need lots of confidence to be in a field where they are the minority. If girls can be given that confidence at a young age, then they already have a better chance of staying within the field. Another way to recruit more women is to have supportive college environments. These college environments will help young women as they enter their career portion in the STEM field which is a vital step. Retention: Once women enter the field of STEM, it’s extremely important that they feel comfortable and supported. Many women leave the field entirely because of the negativity that they have to deal with such as receiving signals that they don’t belong. In order to increase the notion that women do belong in STEM which further increases retention, the social environment around women in STEM must change and become positive. If you are interested in getting girls more involved in STEM and creating a better future for females in STEM, then the “Hour of Code” is a great start into the field through computer science! This website gives tips and ideas on how to run “Hour of Code” and I highly recommend that you integrate it into your school or boarder community, if you can. Bead, David . “Women in STEM: A Gender Gap to Innovation.” US Department of Commerce, Economics and Statistics Administration . US Department of Commerce , n.d. Web. Dasgupta, Nilanjana. 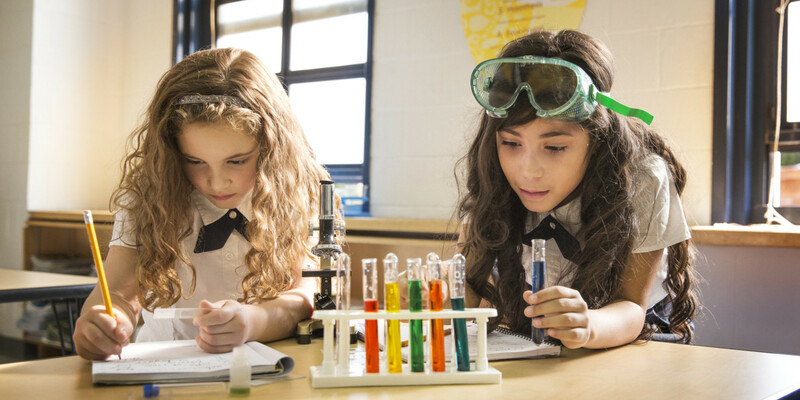 “Girls and Women in Science, Technology, Engineering, and Mathematics STEMing the Tide and Broadening Participation in STEM Careers.” Sage Journals . Federation of Associations in Behavioral & Brain Sciences, 1 Oct. 2014. Web. 1 Apr. 2017. Drury, Benjamin , and John Oliver Say. “When Do Female Role Models Benefit Women? The Importance of Differentiating Recruitment From Retention in STEM.” Taylor & Francis Online. Taylor & Francis Group , 2 Dec. 2011. Web. 1 Apr. 2017. “Why So Few? Women in Science, Technology, Engineering, and Mathematics.” AAUW: Empowering Women Since 1881. AAUW, n.d. Web. 01 Apr. 2017. Williams, Joan C. “The 5 Biases Pushing Women Out of STEM.” Harvard Business Review. Harvard Business, 30 Aug. 2016. Web. 01 Apr. 2017.